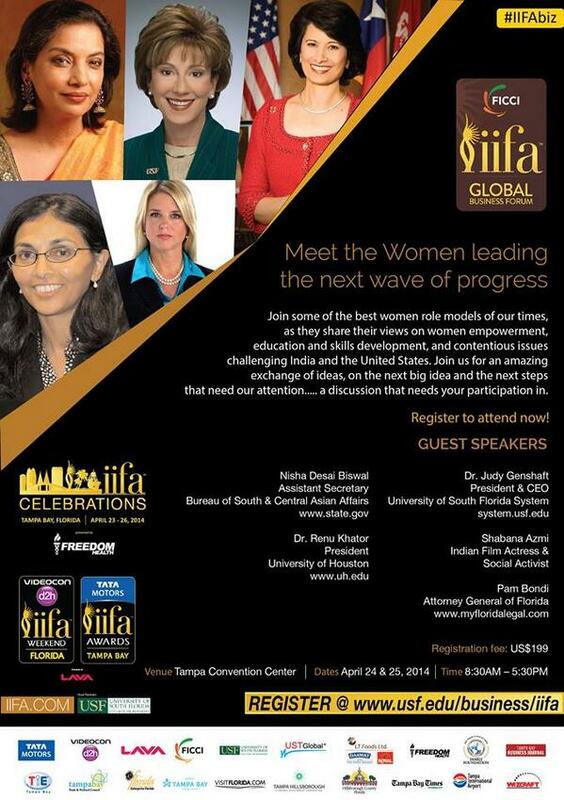 Interational Indian Film Academy awards (IIFA) celebrations and awards 2014 will be held from 23rd to 26th April 2014 at Tampa Bay, Florida and first time to be held in USA. IIFA was first introduced in the year 2000. 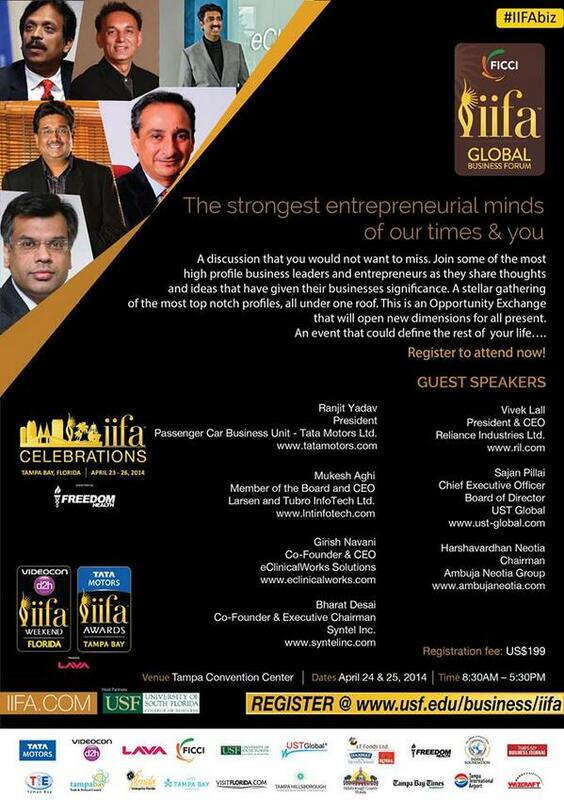 IIFA celebrates and honor the Bollywood’s best in the field of Arts and technology. 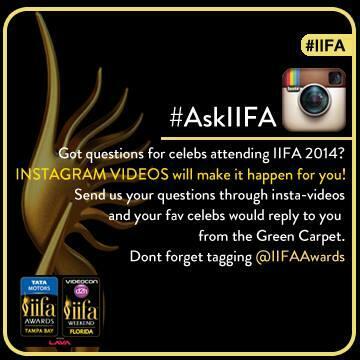 IIFA is also known as Bollywood’s Oscars. This year, IIFA awards are sponsored by Tata Motors. IIFA 2014 is coming up with different themes (Music and dance festival, business and enterpreneur forum, Expo, Acting Workshop) before its main awards ceremony. 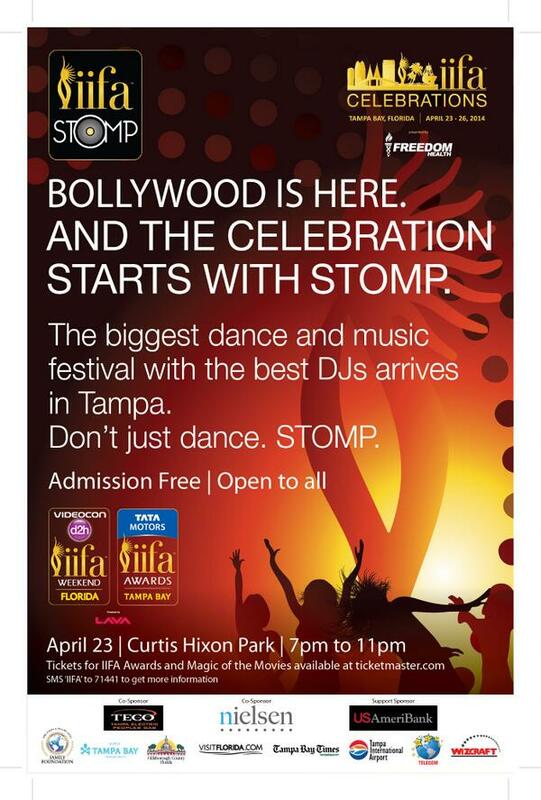 Day 1 (April 23): IIFA Stomp (open to public) – Event of Dance and Music festical with best DJ’s from Tampa Bay, Florida. Also DJ Clement D’Souza-India’s best House-DJ will be gracing the event with his tunes. 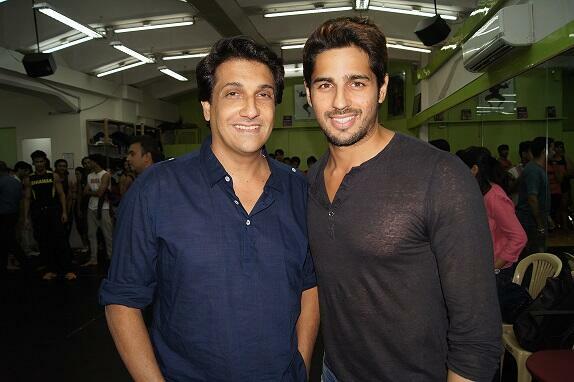 IIFA celebrations are managed by Wizcraft India and East India Comedy..
Acting workshop at IIFA organized by Anupam Kher. – Here is the trailer of the short film “I WENT SHOPPING FOR ROBERT DE NIRO” by Anupam Kher and Actor Prepares academy. 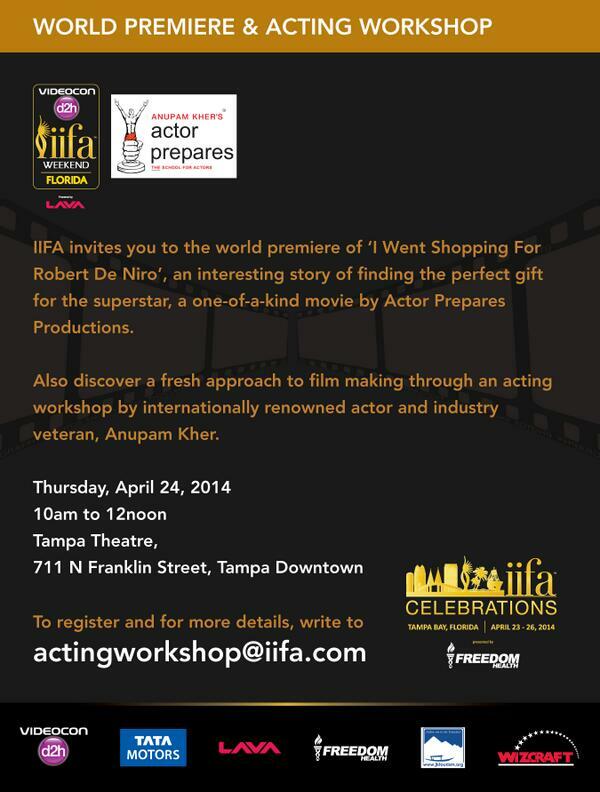 – Anupam Kher’s short Film ‘I WENT SHOPPING FOR ROBERT DE NIRO’ premiers on 24th April 2014 at the historical Tampa Theater during IIFA celebrations.